SPECIAL OFFER EXTENDED: FREE FOLLOW UP K9 INSPECTION! Complete Your Treatment Process with Confidence. Select a trusted bed bug exterminator today! Free visual inspections, chemical and organic treatment plans, heat treatments and K9 inspection services - All in one place! Our unique chemical and organic combination treatment process. Safe and discreet, appropriately licensed and insured. 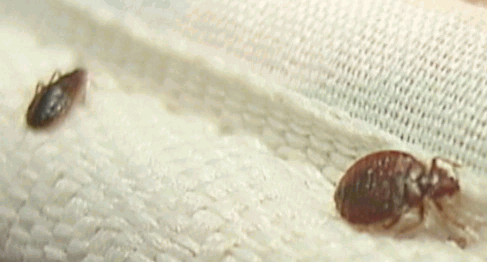 Bed Bug heat treatments are discreet and backed up by our unique process for chemical and organic applications. Detect bed bugs in your business or home using the most discreet, efficient means. Visual inspection and dog detection services available. The Bed Bug Pros are brought to you by RIDTEK, a family owned and operated pest control business in Northeast Ohio. Our approach is affordable and effective, and our promise to educate our customers using facts instead of fear, have made us a trusted service provider in Ohio. Finding, treating and preventing these pests in your home or business is our number one priority! Call for same day service available (first come, first serve basis), including our free inspections - Get an exact appointment time and talk with a licensed technician. Using industry approved equipment and chemicals, our licensed pest management professionals provide a comprehensive treatment plan, from start to finish. We are appropriately licensed and insured, OH License # 105716. Heat treatment is recognized industry-wide as a safe, effective means of getting rid of bed bugs. For homes, businesses in a variety of industries, transportation and more - heat treatment is effective at eliminating all stages and sizes of infestations. Chemical treatment plans, heat treatment and K9 follow up detection is the most efficient and thorough way to treat a bed bug infestation. Our discreet services quickly identify the issue and our treatment process is unique and provides comprehensive bed bug relief. This method is cost efficient, fast and effective for your home or business! Using a trained and certified detection dog, our experts are able to pinpoint a bed bug problem of any size. Inspections are completed quickly and discreetly, with the best accuracy in the industry. A bed bug sniffing dog is able to identify all stages of their life cycle, and can find even the smallest of infestations. The faster the problem is identified, the quicker treatment can begin.